Ferns continued to be a successful group in the Mesozoic adapting to dry conditions and covering both open and under storey habitats. They occupied the ecological niche grasses took over after they evolved in Cenozoic. Ferns are an important clue to climate in the Mesozoic since those that live today cannot tolerate freezing temperatures. Mesozoic ferns are found on continents at rather high latitudes indicating a rather warm Mesozoic climate. Alternatively ferns in the Mesozoic may have been adapted differently to temperature than their modern descendants. Cycads were newcomers in the Mesozoic. 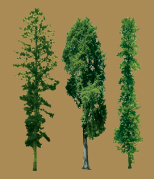 They first appeared in the Triassic and flourished in subtropical and tropical climates to grow to be tall and the most common trees in the Jurassic. Cycads are characterized by their thick stems, their fan-like compound leaves and their remarkable resemblance to palms. However, cycads are not the same as palms. 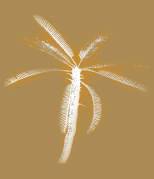 Palms are flowering plants whose seeds are covered in shells while cycads do not have covered seeds. Therefore they declined when the climate became cooler and the flowers emerged in the Cenozoic. 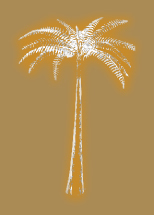 Only a few species survive to the present, including the sago palm. Calamites gradually became extinct by the Early Permian and were succeeded by the morphologically similar Neocalamites. They flourished during Late Triassic and survived until Early Jurassic. 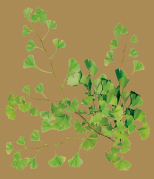 Gingkos are gymnosperms that were common in more temperate climates and appeared in the Late Paleozoic but peaked during the Jurassic and Cretaceous periods. By the end of the Cenozoic ginkos disappeared from everywhere apart from areas in central China where the modern species Gingko biloba survives. Conifers were a newly emerging plant group that reproduced by means of seeds borne in cones. This had the advantage that they did not rely on water to reproduce but on the wind to spread their seeds. They became important in Jurassic and Cretaceous times along with the cycads and diversified into cypresses, redwoods, araucaria and pines.